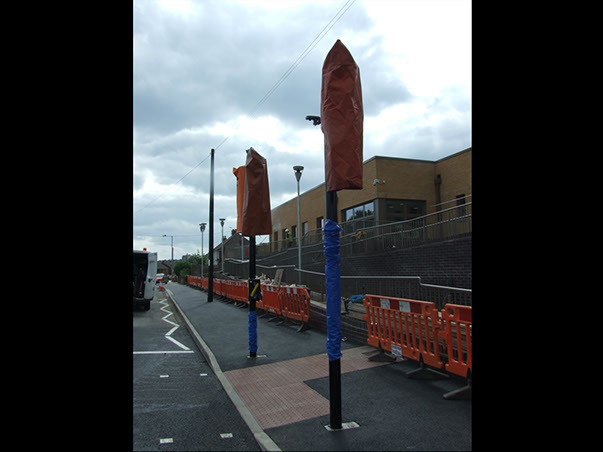 Job Details: For this project there were many aspects we had to organize and manage such as traffic management, installation of road markings, highway works & installing a puffin crossing. 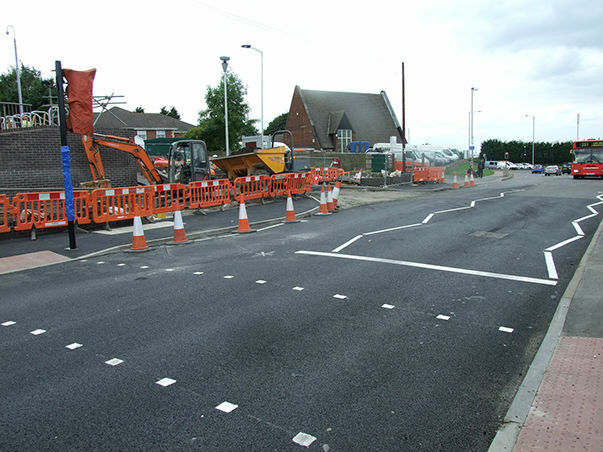 The highway works comprised of removing the existing kerb line and footpath, and excavation to install new gully & install pipework before resurfacing. 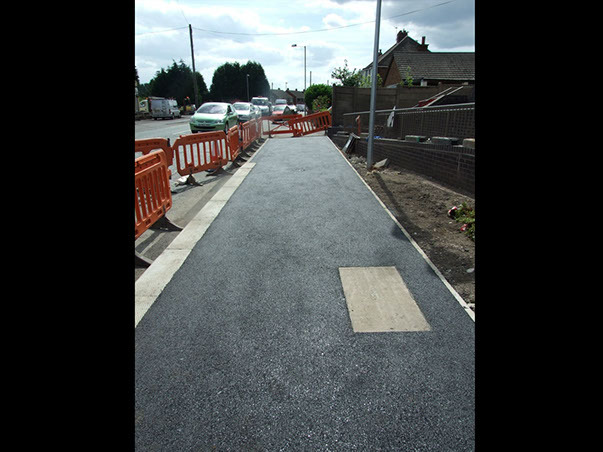 We also installed a puffin crossing, complete with ducting and tactile paving. 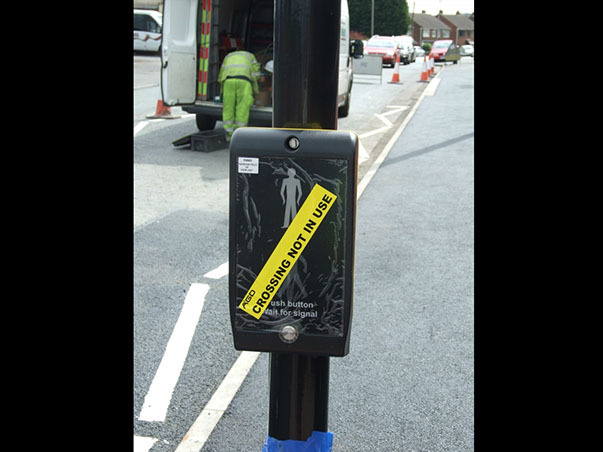 The road markings were completed after highway works were complete and comprised of a bus stop marking, give way markings and markings associated with the puffin crossing. Duration: 3 Months. 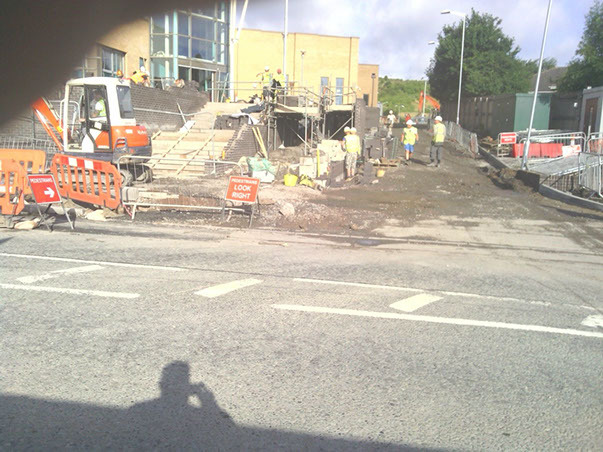 Completed: August 2013.